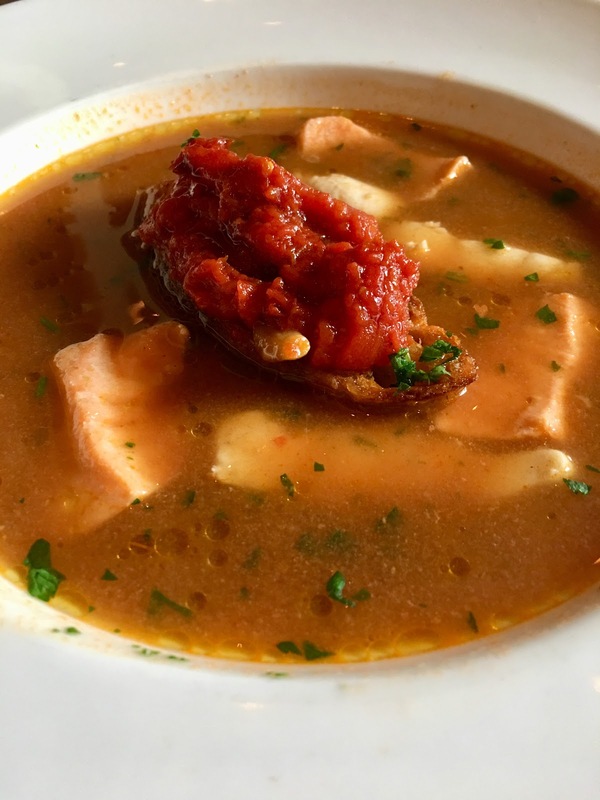 BOWLED OVER: My first course at Esca was this Zuppa di Pesce Amalfitana, a delicious broth with two kinds of fish and a tomato chili bruschetta. Other first-course choices included crudo or raw fish, a blood orange salad, rainbow smelts and fried squid. 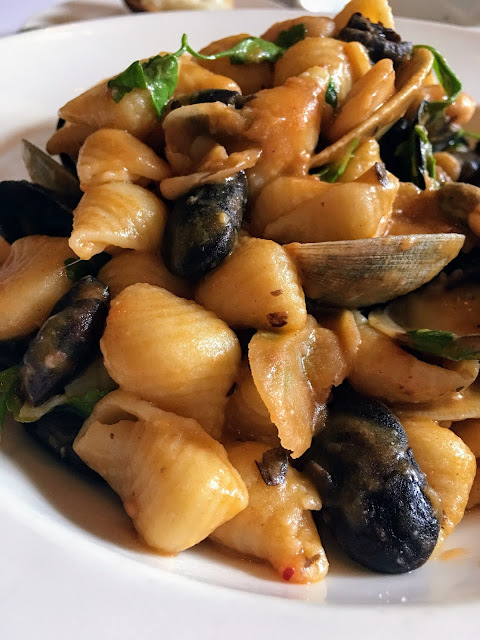 ADDICTED TO PASTA: My second course was Conchiglie, chewy house-made shells with local clams and mussels in a ragu of fava and other heirloom beans. Other choices included ravioli with sheep's milk ricotta, grilled whole porgy and a thick red snapper fillet. NEW YORK, N.Y. -- My idea of dessert is fresh fruit or a great piece of cheese, so for more than 20 years the bargain 3-course lunches during Restaurant Week always posed a problem. The dessert course at fine-dining restaurants in Manhattan almost always include high-calorie, sugar- or cream-filled desserts, and getting sorbet as a substitute isn't always possible. 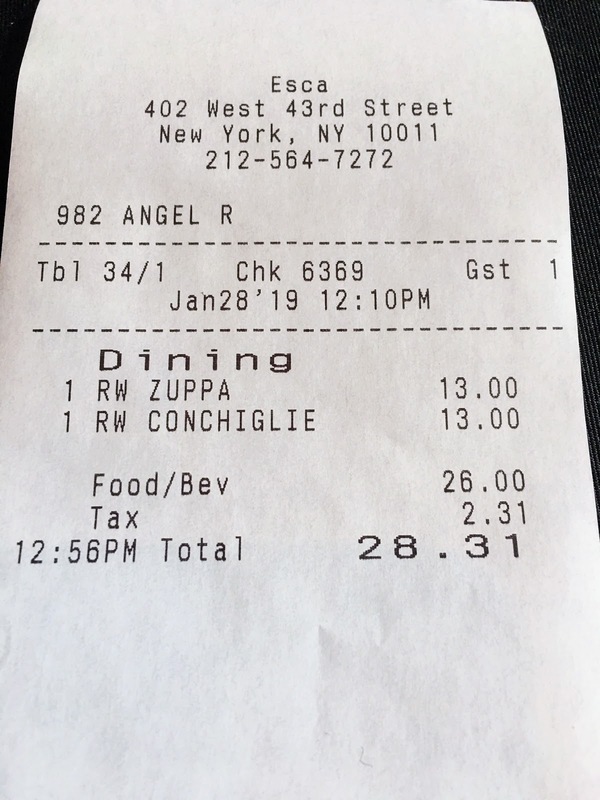 Now, probably for economic reasons, hundreds of restaurants in the 5 boroughs are offering 2-course lunches for $26 -- $3 less than the 3-course meals with dessert served during NYC Restaurant Week a year ago. That's perfect for someone like me who is watching his weight and cholesterol. 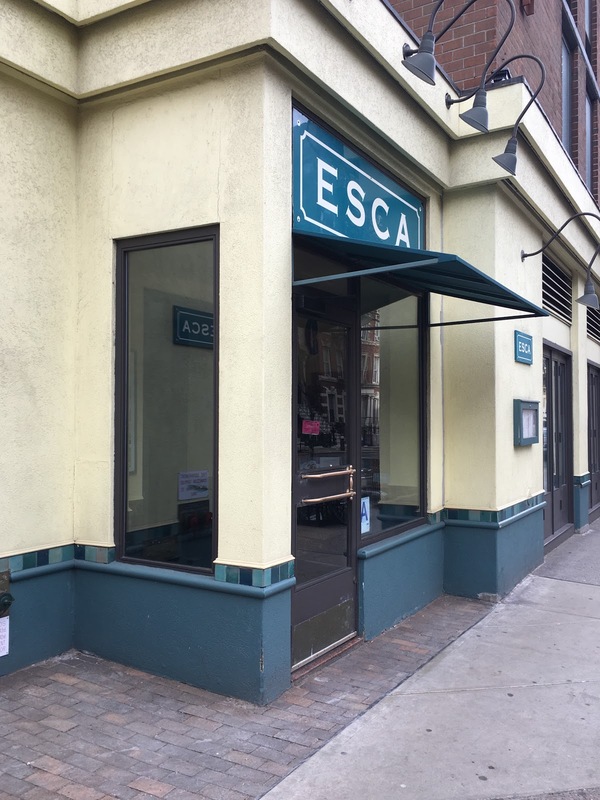 On Monday, I took the bus into the city from Hackensack, and enjoyed a belly busting lunch of soup, seafood, pasta, bread, olives and extra-virgin olive oil at Esca, a southern Italian trattoria that's always the first restaurant I go to during the semi-annual promotion. I didn't miss a dessert course; in fact, I couldn't possibly eat more, and at home, skipped dinner in favor of tea, fruit and nuts. The Restaurant Week promotion -- 2-course lunches for $26 and 3-course dinners for $42 -- runs through Feb. 8. 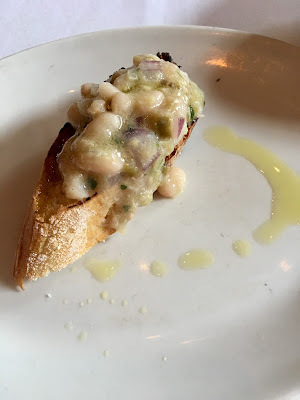 PRESERVED MACKEREL: A gift from the chef was toasted bread topped with small white beans and preserved mackerel. 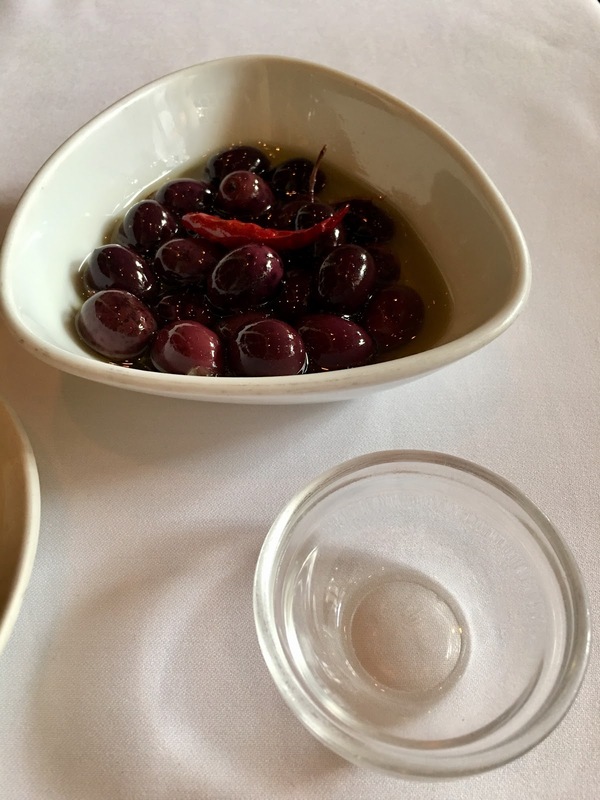 TOO MANY TO FINISH: House-cured Gaeta olives were complimentary. BREAD SERVICE: One benefit of being seated at noon, when lunch service starts, is getting the large end or heel of the crusty loaf of bread served at Esca, and being able to enjoy it with extra-virgin olive oil, below. 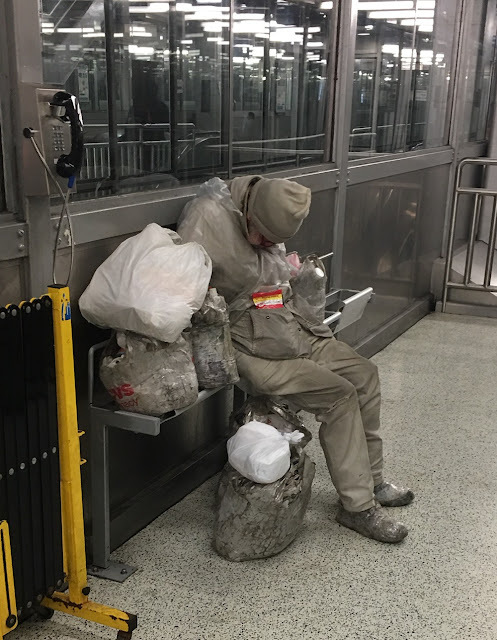 THE LURE: Esca (the Italian word for "bait") is at 402 W. 43rd St., less than three blocks from the Port Authority Bus Terminal. 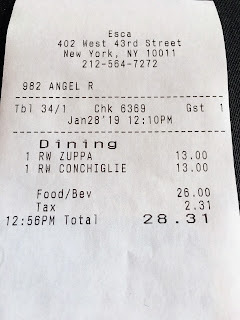 A BARGAIN: With a 20% tip, my total was $33.51 for a great lunch. A REFUGE FROM BITTER COLD: After lunch, I walked past a homeless person sleeping on a fold-down seat on the platform at the midtown bus terminal for the No. 165 and No. 166 NJ Transit buses. My bus, the 1:20 p.m. 165 to Hackensack, was about 40 minutes late.